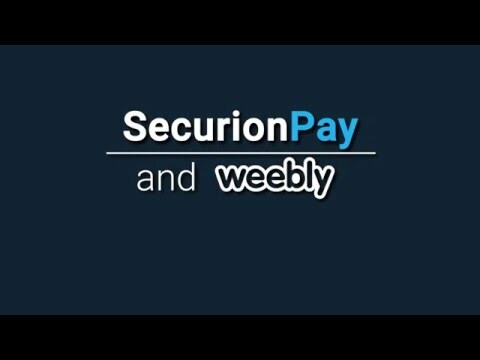 SecurionPay is an online payment gateway for credit and debit cards processing. The product is dedicated to all kinds of online businesses which require single payments or paid subscriptions. The gateway works perfectly on both mobile and desktop. SecurionPay's recurring payment tool supports trials and pricing plans with flexible tiers and periods. Subscription can be set as an auto renewal for better usability and conversion. For the eCommerce websites, SecurionPay offers increased conversion on payments and Pay Buttons that can trigger the buying process faster. Flexible API and easy setup with test mode are designed for fast integration. Apart from the API, we have developed a set of plugins for eCommerce platforms (like Magento or WooCommerce) and SDKs for Android or iOS. Non-developers can integrate payments by adding payment buttons with a drag and drop wizard, which takes minutes and doesn't require programming knowledge. Coming from Paypal the first positive thing we noticed was the amazingly fast customer interface. The second thing we noticed was the extreme detail you have over tracking your payments. Every request made to their service is logged and you can easily access it through the interface. This makes it extremely easy to debug and detect potential misuse of your Website/App. Additionally integrating SecurionPay is extremely easy. If you want you can be up and running in 1 hour with the simplest integration where they handle everything for you and notify you of a successful payment. Also if you want to take things into your own hands, SecurionPay makes it very easy to do this with their API. You can build a full page/app which allows your users to manage credit cards and where they can decide which one to use for future payments. Then you can bill them with one click without them having to enter their details again. The SecurionPay Api is one of the best designed APIs our developers have ever seen, there isn't a missing feature or flaw as we've worked with it. All in all we're glad we've found SecurionPay and we would recommend it anytime to anyone looking for a great payment solution. So far we didn't notice cons about the service. The only thing that comes to my mind is that the application process took quite some time but I suppose that is needed to build a solid foundation for working together. We have tried many payment platforms in the past, but SecurionPay turned out to be the optimal solution for our needs, giving us the best conversion with very low and competitive rates. It's not only very easy and seamless to implement, but also offers powerful features. They really understand the importance of customer satisfaction and ways of increasing conversion.Easy and quick implementation and setup, but still giving you full control over the transaction and user management. Also has a very granular and powerful fraud management. Having been through the grinder with many Payment Providers over the years for our online dating platform, SecurionPay provides a slick, modern API that is a breeze to implement and great portal. Any issues / feature requests have been dealt with swiftly and efficiently by Lucas and his friendly team. Highly recommended!Modern API allowing for fully integrated and customised payment forms, great documentation, slick portal and helpful support! A solution that increases conversion in the payment process on mobile and desktop. Credit and debit cards payments in 160 currencies and 23 languages. Simple integration with a unique drag and drop wizard for non-developers or with versatile and fast API. Recurring payments with flexible time periods and different pricing tiers (including free trials) for all types of subscriptions. SecurionPay gateway has PCI Compliance and provides 3D Secure payments. A payment gateway dedicated for regular merchants or high-risk merchants. Below are some frequently asked questions for SecurionPay. Q. What type of pricing plans does SecurionPay offer? Q. Who are the typical users of SecurionPay? Q. What languages does SecurionPay support? Q. Does SecurionPay support mobile devices? Q. Does SecurionPay offer an API? Yes, SecurionPay has an API available for use. Q. What other apps does SecurionPay integrate with? Q. What level of support does SecurionPay offer? Q. Which apps is SecurionPay compared to most often?